In the article the essence and content of the reform of The National system of intellectual property. Investigated the current state and problems of development of the intellectual property system, identifies the main factors: economic, social and political that prevent its development, and the prospects of its development. The changing environment and constantly growing and already global competition compel companies to keep innovating. The ability to implement innovations faster than rivals makes it possible for them to achieve the best market positions. A high level of innovation, however, does not always have to be the domain of the largest business entities. This article discusses completely different companies, which, though being smaller, and also somewhat hidden, occupy key positions on global markets. The level of their innovation often exceeds that of large corporations. The research, a fragment of which is presented here, was conducted on the German and Polish markets. Due to the specific features of this group of companies, the selection of the sample was deliberate. The research objective of the article was to assess the innovative activity of Polish and German hidden leaders. The development of an innovative product that will be widely accepted on the market is not just a question of creating innovative ideas and providing suitable functionality but also of good timing. In the last years we have seen a substantial increase in interest into e-mobility and many producers have already recognized and ventured into this niche with high rewards. E-bikes are also an emerging product in this field, which have gained a lot of interest in the last years, and are becoming widely demanded globally. Being involved in the R&D process of a similar product, namely a central drive e-bike, in collaboration with several industrial partners we have gained deep insight into the challenges of entering a by now fairly mature market with a new, high quality and competitive product. The development methodology was first based on a thorough benchmarking process and the elaboration of a functional structure that precisely describes the technical problem. This way we could identify the main functions that such a product has to fulfil and pinpoint the areas and technologies that proved to be the most critical in achieving a robust and safe system. Following the so called golden loop approach we could implement a systematical design process, where the key functional requirements could be successfully fulfilled, enabling the formation of a fully operative technical system. We focus here especially on the mechanical part of the product, i.e. the drive system and housing as this was also found to be the most challenging part of the whole development process. Due to the very demanding requirements put forth by the customer many severe challenges emerged, which could only be solved by a structured development methodology and very coordinate iterative process between all the partners. Several cues can be outlined from the experience we gained, that can serve as a guideline for the development of competitive emobility products. 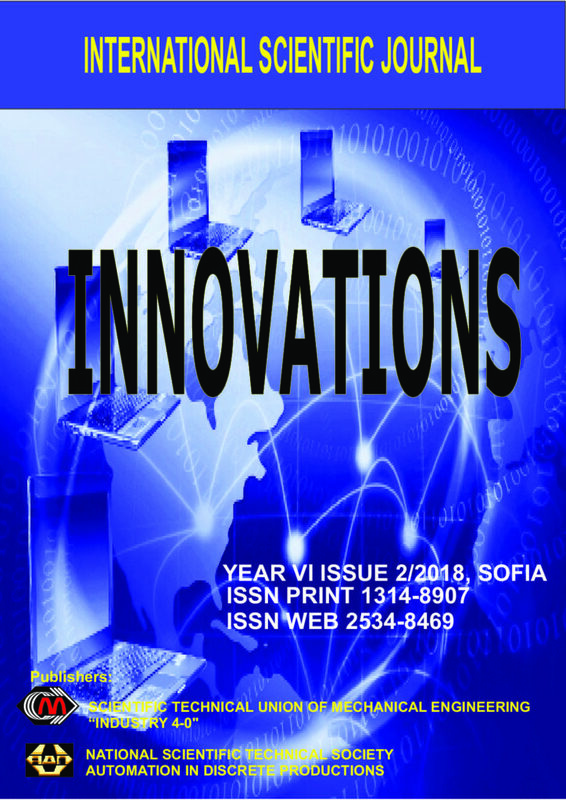 The interrelation between innovation infrastructure of small businesses support with the creation and development of business incubators is analyzed. Imperfect system of funding and material and technical support development of business in Ukraine is established. It was determined that small and medium business accelerates economic restricting, improve organizational efficiency of national resources. So the creation of business incubators is very important for business and sustainable development in the economic situation of the country. The authors give the basic principles of state policy building for small businesses. Foreign experience in creation and development of business incubators is adapted to local conditions by combining and combining different forms, methods and means of regulation and support domestic enterprises. The authors propose the business incubator model which may promote development and management small business. The rational use of convenient geographical location, the organized transport-communication and customs-logistics infrastructure, is the key for any country’s integration into the world economy and the expansion of foreign economic ties. The South Caucasus transport corridor connecting the Asian and European markets, has an important strategic role in the tradeeconomic context of East-West relations. All nuclear power plants in a 1000 km radius of Bulgaria have been napped. Huir power output the number of reactors and type indicated, as well as the fuel usefl and the storage of the processed fuel. An efficiency ingnity was conducted as well as political inporteence and local safety. The paper presents results of research of the essential characteristics of two kinds of advanced coatings applied by HVOF technology. One studied coating: WB-WC-Co (60-30-10%) contains two types of hard particles (WC and WB), the second coating is ecofriendly alternative to the previously used WC-based coatings, called “green carbides” with the composition WC-FeCrAl (85-15%). In green carbides coating the heavy metals (Co, Ni, NiCr) forming the binding matrix in conventional wear-resistant coatings are replaced by more environmentally friendly matrix based on FeCrAl alloy. On the coatings was carried out: metallographic analysis, measurement of thickness, micro-hardness, adhesion, resistance to thermal cyclic loading and adhesive, abrasive and erosive wear resistance. There were also determined corrosion characteristics of the coatings in NaCl and SAR solutions. The results of microprocessing by the ribbon-shaped electron beam of the elements of optical measuring instruments (the material of such elements – K8 glass) with the initial nanorelief of surfaces 15-22 nm after industrial grinding and polishing are presented. Based on the results of studies using a computerized complex control system based on an atomic force microscope, it was established that after electron-beam microprocessing, the nanorelief of optical elements of measuring instruments decreased to 1.5-2.2 nm, satisfying to the requirements put forward to their surfaces. The principles and peculiarities of the molecular layering (ML) method, known often in foreign works under the name of Atomic Layer Deposition, are considered. ML method was created in the middle of the last century by Soviet-Russian scientists V. B. Aleskovskii and his student S. I. Koltsov. Among the first who after Russian scientists began to carry out research on the method of ML were scientific groups from Finland (T. Suntola, S. Hauk, M. Leskela, M. Rital, etc. ), the GDR (V. Hanke, G. Olman, B. Horvath and others), Bulgaria (G. Bliznakov, K. Petrov, D. Mekhanjiev, D. Damianov and others). The structural-dimensional effects manifested in products obtained using the ML method are analyzed. The results of practical application of nanotechnology on the principles of the ML method in various high-tech industries are presented: sensor sensors, membrane catalytic processes, catalysts, sorbents, composite materials, alternative energy sources, electret materials etc. This paper discusses a heat pump subsystem within an existing high-temperature DH system located at a railway station in Omsk, Russia. The goal is to increase the efficiency of an existing high-temperature DH system by describing decentralized heat generation from an environmental point of view. We obtain a balance method whereby the heat loss (or the thermal energy loss) is expressed dependent on the supply and return temperatures so as to reduce operating costs of heat supply. The outcome of calculating the heat loss by this method is a relation that is valid typically for all DH networks. Findings beneath show that switching to a low-temperature DH can decrease operating costs and increase overall heat production efficiency. The reason for the latter is a known logarithmic heat flux-temperature correlation. This paper concludes that the idea of decentralized generation has a great potential for the future, as the implementation of this concept is closely related to a low-temperature DH. When it comes to space vehicles for humans (as the International Space Station), the most important goal is how to achieve safety in the space vehicles, that people should survive their travel to space and return safely, in good health. In this connection, the primary role of the space materials science is to ensure the long-term trouble-free operation of materials and elements of equipment in a space environment. In this paper we present the second part of the brief analysis of some different aspects of the space environment and their effect on the properties of materials which are located or are mounted on the body of the International Space Station.